The most effective presentation of the most effective preparation. 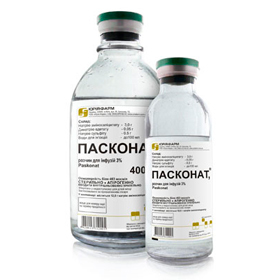 Concentrate for infusion solution 30 mg/ml. 5 ml, 15 ml and 20 ml vials (150 mg, 450 mg and 600 mg of rifamycin). 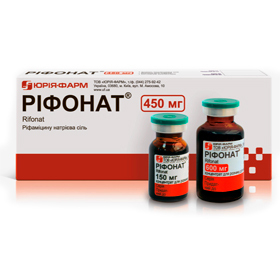 15 ml and 20 ml vials (450 mg and 600 mg of rifamycin), solvent included. Intravenous formulation of ethambutol — reduced dose, increased efficiency. 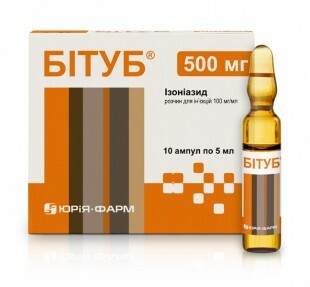 10 % solution in 10 ml and 20 ml vials. Protect your child against tuberculosis. Bitub® is a unique combination of effectiveness and safety. 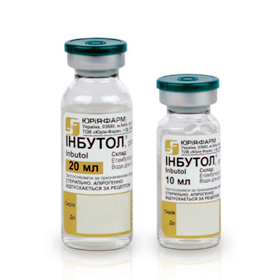 Isoniazid solution for injections combined with methionine. 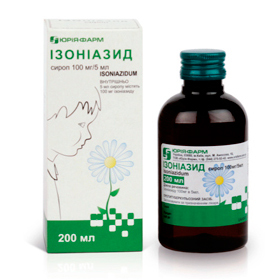 Solution for injection 100 mg/ml. 5 ml ampoules.